2,000 lb. capacity evenly distributed. The heavy duty construction allows you to perform all of your tasks from one mobile bench. 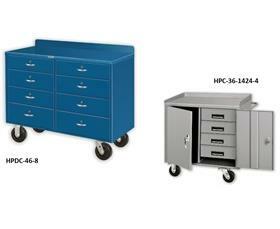 Items can be stored and secured by ball bearing slide drawers and cabinet space. Includes cylinder locks and keyed handle (cylinder locks are keyed different unless specified). Custom design available. 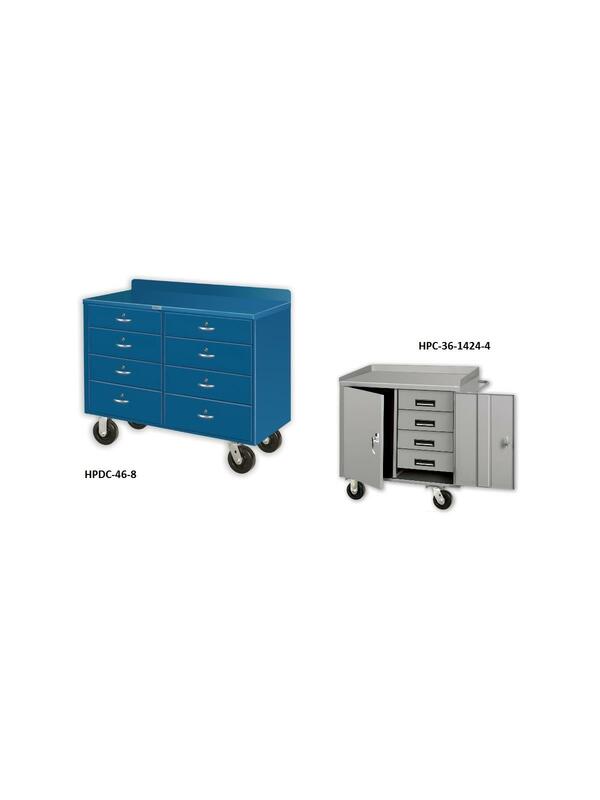 Optional floor lock and wheel brakes available for HPDC series. Optional floor lock, wheel brakes, vise shelf, vise, riser shelf, pigeon hole unit and cylinder locks for drawers available for HPC series. Equipped with 2 rigid, 2 swivel 5" x 2" phenolic casters. FOB Shipping Point. 48 x 26 x 34"48 26 34"